We’ve had a busy schedule here at Bob’s Watches, even by our standards. With the huge upsurge in the market for pre-owned luxury watch brands, and Rolex in particular, more and more people are discovering the value that Bob’s Watches provides. Alongside the business of running the day to day operations, we’ve been honored to be featured in some of our favorite publications. It’s always flattering when they get in touch and ask how we’ve become recognized as one of the biggest names in the industry. It’s great to be able to talk to an audience with similar passions and tell them a little about how we do things and what sets us apart. Here’s a look at some of the places you can read about us this month. The Robb Report is one of the finest luxury lifestyle magazines, it’s also one of our personal favorites. It features up-to-the-minute news on the world’s premium cars, planes, boats, real estate—and watches. Along with their excellent online site, the hardcopy version is international and is published everywhere from Arabia to Brazil and China to Kazakhstan. 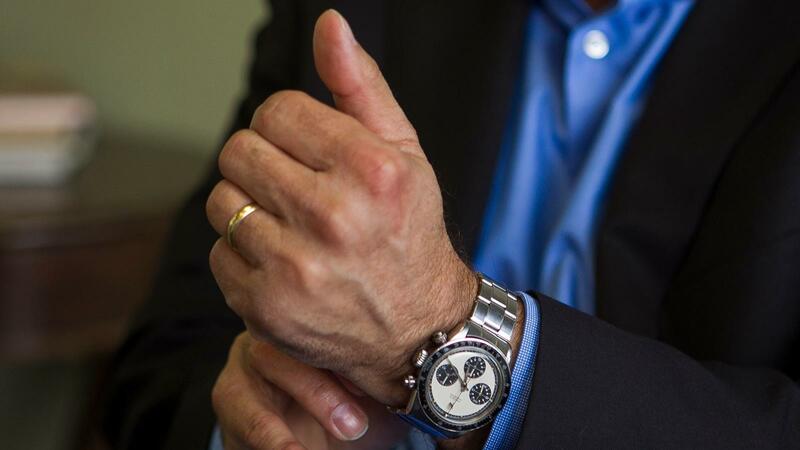 We sat down for a chat about Bob’s Watches and how it has grown into the industry leader it is today, as well as taking an in-depth look at a chosen few examples from my personal collection. 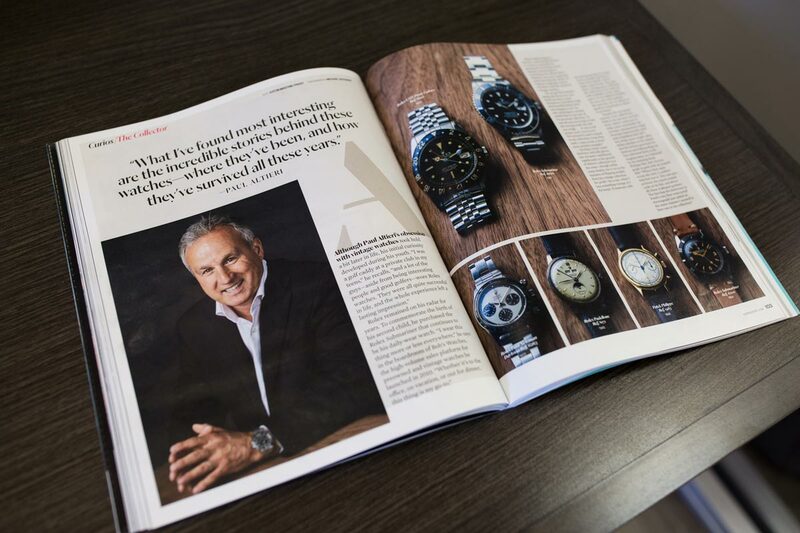 The Robb Report features Paul Altieri, Founder and CEO of Bob’s Watches. Take a look for some stunning images of an ultra rare moonphase Rolex Padellone ref. 8171 from 1949 and Patek Philippe’s first ever waterproof chronograph, the ref. 1463 from 1948. You can read the Robb Report article here. The L.A. Times is one of the largest metropolitan newspapers in circulation in the U.S. and the fourth most widely distributed newspaper in the country. Journalists are always on the lookout for something unique and a little out of the ordinary to appeal to their readers. Our philosophy of publishing both the buy and sell prices of every watch that comes through our doors is exactly the sort of thing journalists like to sink their teeth into. We spoke to Kathleen Luppi about navigating the murky world of counterfeit Rolex watches and unscrupulous dealers and how we keep things here as transparent as possible to ensure our clients get the best deal. It also gave us the chance to talk about some of the big hitters we’ve been entrusted with here, like the 1958 Submariner ref. 6538 we valued at a cool half million. You can read Kathleen’s article here. 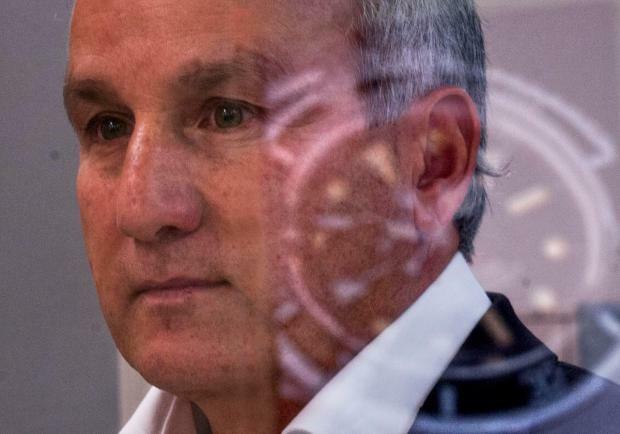 Hannah Madans over at the Orange County Register put together an in-depth piece chronicling Bob’s Watches from the very beginning to where we are now and where we’re headed in the future. It also gave us the opportunity to talk about the impact that tech watches, and the Apple Watch in particular, have had on the marketplace, as well as discussing an area that we’ve started focusing more on—the range of Rolexes for women. With the fashion for ever larger sizes for the men’s collection, we’re finding the older, smaller men’s models are appealing more to women buyers, especially if they’re spotted being worn by celebrities. That’s a demand we’re aiming to address and we’re finding many women prefer the bold design of the men’s watch range to the more delicate designs of the ladies collection. 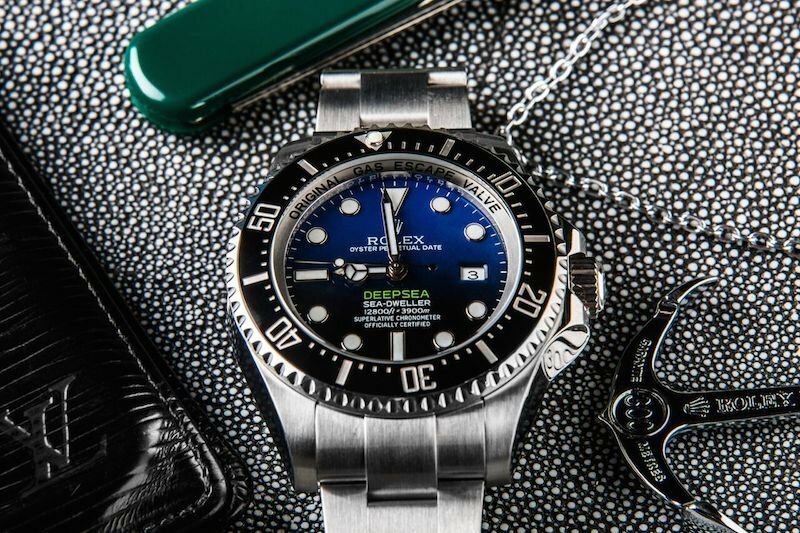 Our friends at Inside Hook, the essential lifestyle guide and purveyor of all the finer things in life, asked the question every serious Rolex collector asks themselves quite often; our top 5. Out of the whole catalogue, which five pieces qualify as our personal favorites. What a choice! A bit like choosing your favorite song or movie, most people have one or two examples that will always make the list no matter what. We also included a few that will drop in and out of our list as times and tastes change. You can’t really make a bad choice, but see if you agree with what we came up with. Check out Kirk Miller’s great article here. As we continue to grow here at Bob’s Watches, we love to be able to get the word out and build on our reputation as the number one destination for both buyers and sellers of luxury watches. We’ll keep you updated on all our latest news and where you can go to find out even more about us.